AMANDA! I ran up on your blog this evening! It just blessed me so much! I love this subject, time with God & journaling! All of these recent posts are just fabulous! Thankyou for sharing! I have my 'cozy corner' and I love it :). I love the idea of having a candle...I'll have to do add that to my routine, because I really love candles and quiet and time alone with God. This is speaking to me lately. Love it! Thank you, Helen! You're such an encouragement. My practical side loves this, Amanda. 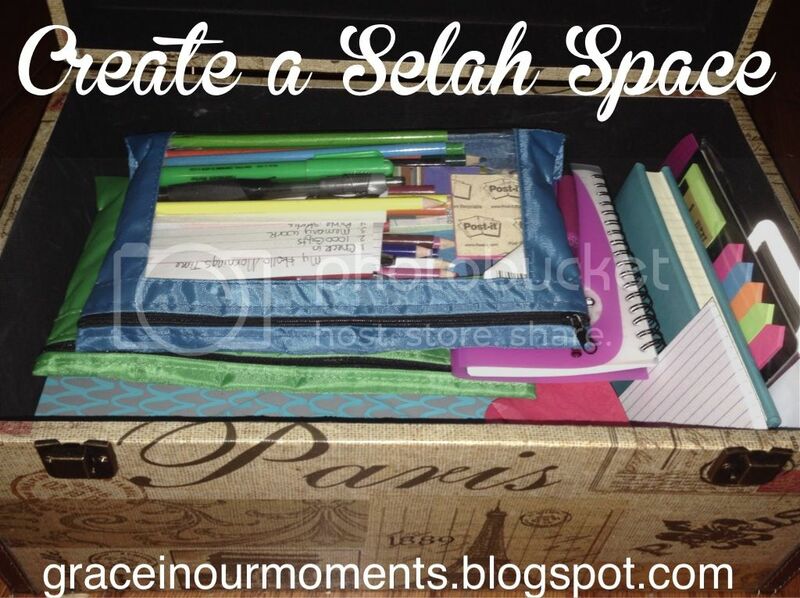 Thank you for these good ideas...and for calling it the "Selah Space." Love that! I like the idea of a container for it all, my quiet time "equipment" seems to sprawl all throughout the house.